"Sometimes you just want to sit down and play something fun for 10 minutes"
The Wii U eShop - particularly in North America - has been host to a number of budget releases aiming to deliver quick, harmless fun; while some have succeeded, there have also been plenty of disappointments. 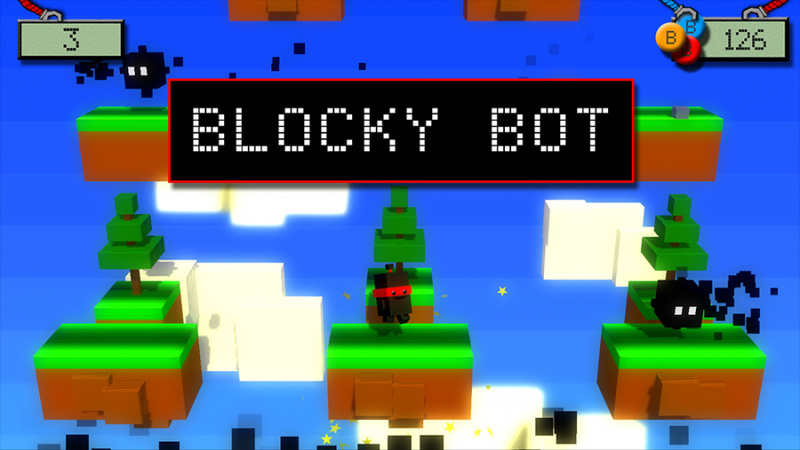 Experienced developer Mobot Studios is next to step up to the challenge, announcing Blocky Bot for Nintendo's home console store. Mobot Studios has previously released the thoroughly decent Paper Monsters Recut on Wii U, and is still focused on its ambitious Knite and the Ghost Lights stop-motion title, but said the following as explanation for this small, additional project. 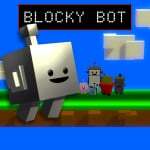 What is Blocky Bot? We've realized there is a pretty sizeable demand for inexpensive high score-driven mini games on the Wii U eShop. We also know there's been debate in the Nintendo community about the quality of some of these titles, but without getting into that right now… to be honest we have really enjoyed playing some of these games with our friends and kids too. Sometimes you just want to sit down and play something fun for 10 minutes. 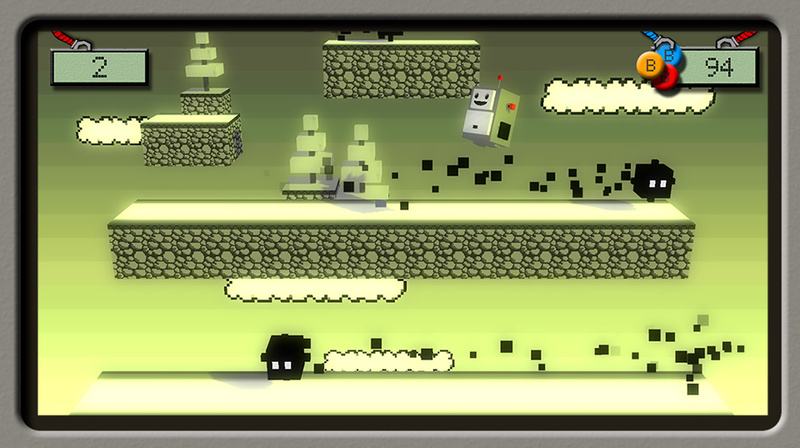 While our main development focus at Mobot Studios is still our stop-motion adventure game Knite and the Ghost Lights (now nearly two years into production), we thought it would be fun to make our own inexpensive mini game with some really nice polish for the Wii U eShop. Blocky Bot is a bit of a mash up that combines just about any decade and style whether it was 2d or 3d. And even though it's a relatively simple high score game, we've ensured that it has tight controls, a lot of level variety, and tons cool characters to unlock. In fact, we even have a guest appearance from another well-known eShop character, and a couple of old school contra-type codes for unlockable items! As we've seen in some examples, budget-priced, concept driven 'fun' games do have the potential to be a triumph on Nintendo's system. With Mobot Studios having a pretty decent pedigree, and having looked over the screens below, we're certainly going to be optimistic at this stage. I really enjoyed Paper Monsters Recut (although it was way too easy) so this certainly interests me! Looking forward to it. Agreed, the game was easy but it was not bad. Love the music in particular. I want to see more of this game. Hm...my curiosity has been peaked. I will look into this game. Mobot is absolutely right: there's a place for these games, and they--and the players--deserve just as much polish as larger titles. And NL is right as well; there's reason to be optimistic at this point that this will be one such game. 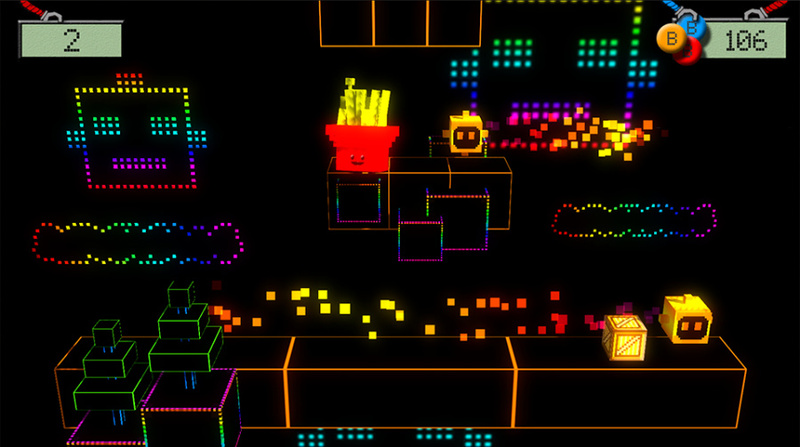 I like the lite-brite aesthetic, some video of the game in action would be nice. I'm hungry for a video. @TylerTreese The problem with Paper Monsters for me was how buggy it was. Haven't touched in since I finished it, but I remember the Moon Buggy bonus stage was pretty much impossible to complete. @ricklongo strange, I didn't encounter any bugs when I played it but then again I didn't mess around with the bonus stages much. Shame that you had a buggy experience! That stage froze my Wii U once, so I did not bother after that. The rest of the game was manageable. I'm curious what kinda game this is. Unfortunately it looks like it may be one of those games where all you do is jump (like the indefinitely delayed Jumpy Cat from Ninja Pig). I hope there's more to it, as I loved Woah Dave. Also, wasn't a mobile game called Gears coming to the eshop? Wasn't that developed by Mobot Studios? What ever happened to that? It actually looks kinda interesting! The art style has my attention at least! Just an FYI sinc it came up - paper monsters recut bug fix update has already been submitted for NA and EU. Not sure if we're looking at a few days or weeks but it will be live the second it's approved! There are about 30 little fixes but the main biggies are the freeze on buggy blaster and the paper clip that didnt get counted leaving some players at 99% complete. Unless going for 100% completion a lot of people may not have noticed but the fix is in there. @Fletcher-Mobot Thanks for the heads up! I did get 100%, since the bonus stages aren't necessary for that, but I'd very much like to complete those levels as well. That second to last screenshot is screaming Aqua Teen Hunger Force chibi Frylock and the Mooninites to me... SOLD! Looking good. Right up my alley, justvhoping it has some cool mechanics and a fleshed-out score system. For what it's worth, my kids adore Paper Monsters Recut.